Greta Van Susteren’s stop at a third cable news network proved to be short, the AP reports. MSNBC said Thursday that she’s out after less than six months at the network, to be replaced by Ari Melber. 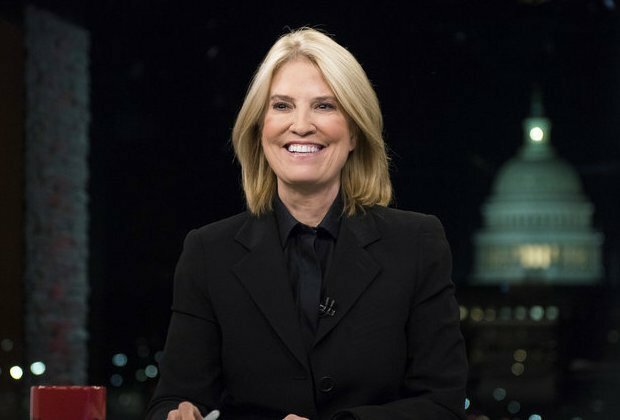 Van Susteren began hosting a Washington-based 6pm weeknight show at MSNBC on Jan. 9, joining the network after her 14-year run at Fox News ended last summer following a financial disagreement. Before joining Fox, she had her own show at CNN. But with the Fox and MSNBC audiences usually diametrically opposed, it proved a poor fit. MSNBC has had its best ratings in network history in 2017, but Van Susteren hasn’t shared in the riches. It was the least-watched show on MSNBC between 5pm and midnight both Monday and Tuesday of this week, according to the Nielsen company. On Monday, for example, MSNBC’s Meet the Press Daily at 5pm had 970,000 viewers, and Van Susteren’s show dipped to 797,000. When Chris Matthews’ Hardball started at 7pm, the network’s audience jumped to 1.45 million, Nielsen said. The show is ending despite the public backing of Van Susteren’s friend and MSNBC’s most popular host, Rachel Maddow. Van Susteren tweeted “I’m out at MSNBC” before MSNBC made its announcement Thursday afternoon. She had no immediate comment about the ouster. In a note to staff, MSNBC President Phil Griffin calledFired “a well-regarded television veteran and one of only a few broadcasters who can say they’ve hosted shows at all three major cable news networks. We are grateful to her and wish her the best.” Melber will begin as permanent 6pm host sometime next month.